Dave Richardson recalls more than 40 years of connecting railways with beer festivals and brewery visits, organised by former Salisbury area BR manager Gerald Daniels. REAL ale and rail travel somehow go together, especially with heritage railways, which often hold beer festivals at stations or on board trains. Both interests appeal to people who love tradition and want to support it in the face of an increasingly corporate world. Tour No. 177 to mark Crookham Travel’s 40th anniversary included visits to the Elgood’s, Batemans, Belvoir, Hook Norton and Clouded Minds breweries, plus a visit to the North Gloucestershire Railway, Toddington, where Polish 0-6-0T Tourska (Chrzanow No. 3512 of 1957) runs round its train. MIKE ANDREW. 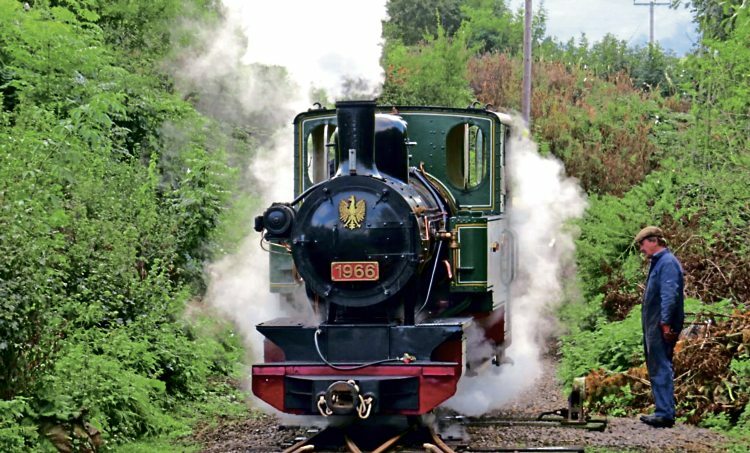 Heritage railways started to develop in the 1960s, and by the 1970s real ale was just as much under threat as steam a decade earlier, with the big brewers switching to mass-produced but far less tastier keg. The Campaign for Real Ale (CAMRA) was founded in 1971, when parts of the country were becoming real ale ‘deserts’ as small independent breweries were bought up and asset-stripped, a trend only recently reversed. London, in particular, was a ‘wilderness’, but CAMRA had identified that a major thirst for real ale remained in defiance of what the big brewers wanted us to drink. That was why, in 1977, two British Rail employees (both CAMRA members) hit on the idea of running the first Rail Ale Ramble, to take ale drinkers to more promising parts of the country. The two colleagues were Gerald Daniels and Sheridan Hughes, who worked at the area manager’s office in Surbiton on the ex-LSWR main line. Gerald – also known as co-author of the book on closed stations called Passengers No More – has recently celebrated the 40th anniversary of that very good idea, although Sheridan is no longer involved.